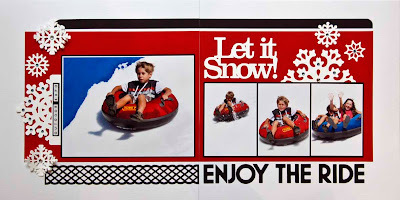 I took these pics at an Outdoor Expo of my children on a man-made snow slope. They sooooo enjoyed the ride! you will see the page that I am now busy with for Liani's album. As we do not have snow around here, I do not have any snow embellishments.. I therefor got out my Silhouette and cut out the beautiful snowflakes featured on this layout. 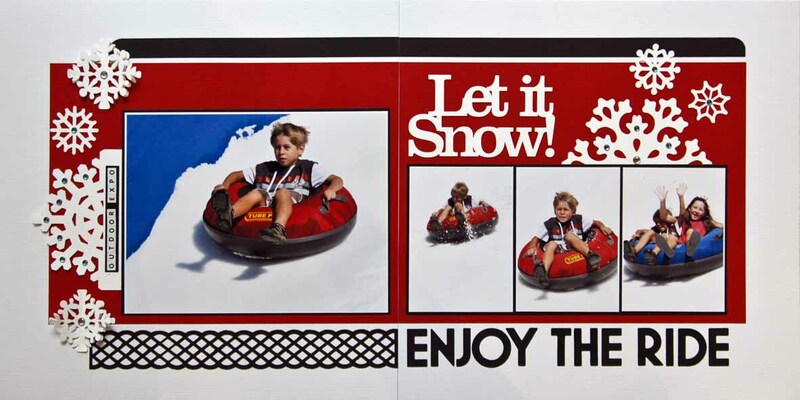 As well as the "LET IT SNOW" wording. Beautiful layout and great take on the sketch.